In a culture that loves selfies, selfie sticks and promotion of self on social media, ArtVo is the perfect place for children and adults alike, to take their best shot! 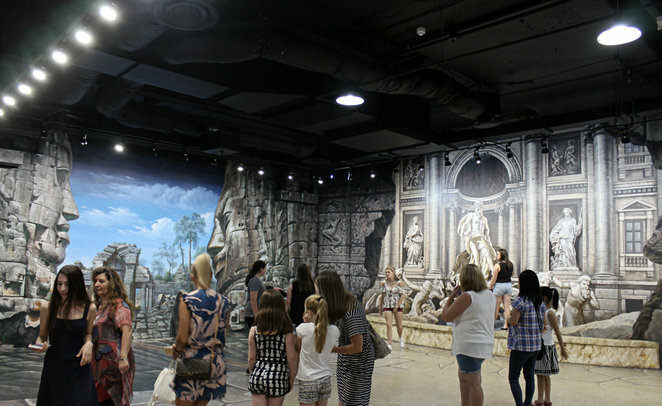 It's immersive, fun, interactive and the child and childlike will jostle and wait in line to get that perfect pose. Be a star in your own shot and up the ante in acting skills. 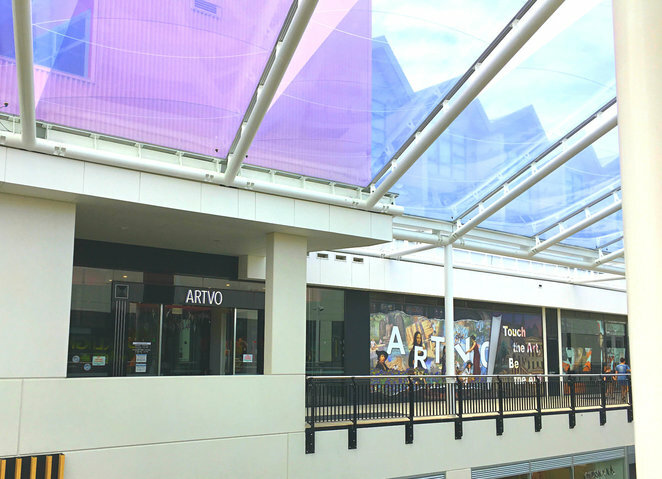 Located at 26 Star Cres, Level 1, Harbour Town, Docklands, ArtVo is open 7 days a week from 10:00AM – 6:00PM. It has easy access for prams and wheelchairs, however if you have specific questions, they're always happy to answer them on (03) 9600 1118. Cost ranges from $12 to $68 for group, family and individual bookings, which includes prices for adults and children (5 to 15 yrs - 4 & under go free) at $25, and seniors, $15. You can book online to avoid queues, but must take valid photo I.D. if you're booking a student or senior ticket. Student cards are not a form of acceptable I.D. Opening only 7 months ago, it's the brain child of Leonard, whom after seeing immersive galleries in places like Singapore (Trick Eye Museum), decided to open Australia's very first interactive art gallery, where children can touch and feel and be part of the art. Lucky for us, this Australian first is right here in Melbourne and is a source of great entertainment to one and all. Be aware, if you're going on the weekend or during school and public holidays, you may have to have your fair share of patience to take your turn at a piece of amazing 3D artwork that makes you a part of its story. Be thoughtful, as the best 'vantage points' to take a picture, as indicated by stickers on the floor, could have you crossing points with another in close proximity. Upon entry, you'll be given a short introduction as to how to get the best out of your shot, including tips about camera angles. There are ArtVo employees on the floor to help you out with suggestions if you need it. It's mighty handy for individuals who are not selfie veterans, and want to go beyond the limits of their creativity. 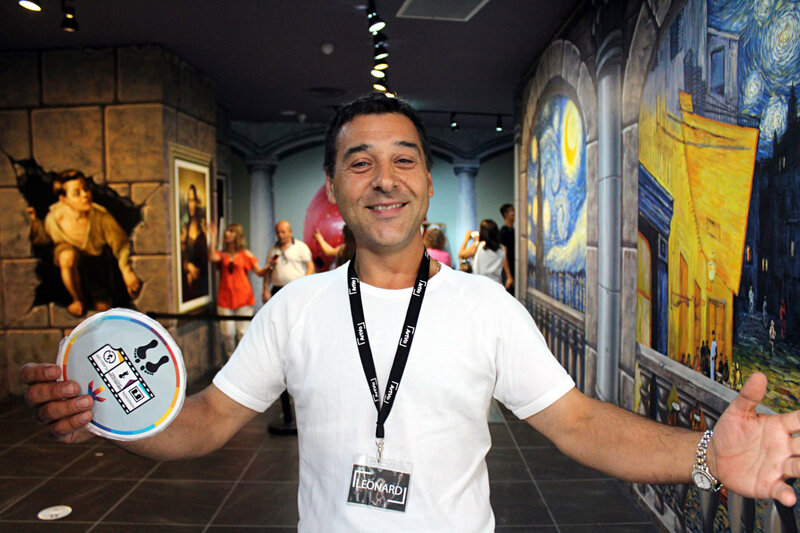 Employing all the fascinations of illusion art like the trompe-l'oeil (trick of the eye in French) and the discovery of perspective in the 14th century, this visual playground with art painted directly on floors and walls, covers over 100 pieces of artwork over 1950 square meters. It brings you face to face with fantastic scenes you just want to be a part of. Stroking the unicorn, coming face to face with the impressive huge King Kong, and having angel wings was part of my fantasy experience, plus at least 90 others I wanted to be a part of as well. How long is a piece of string comes to mind, when it comes to just how much time you want to spend. 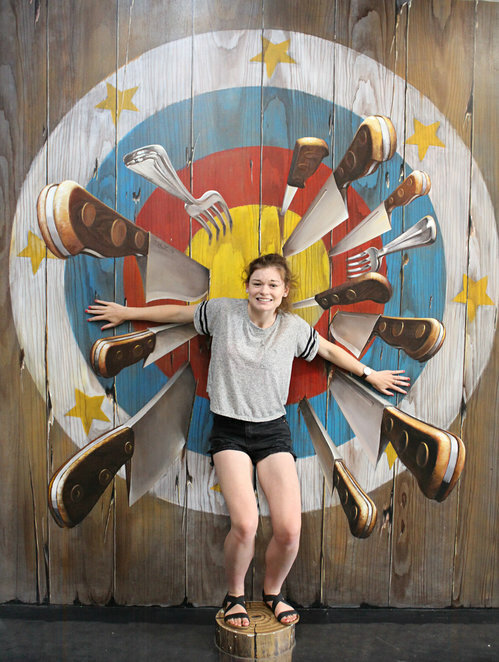 You can't help but want a picture with just about everything at this gallery. 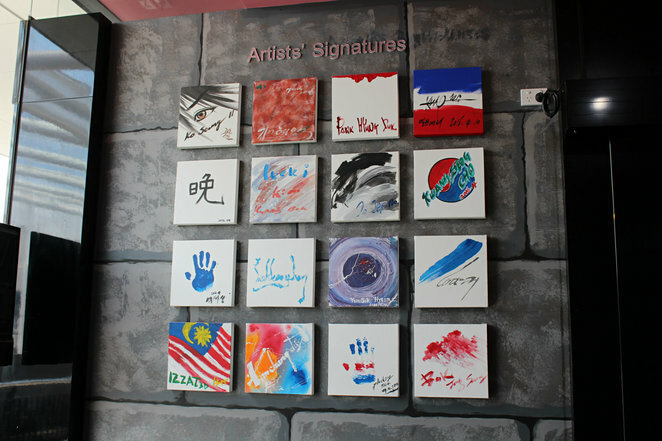 A shout out goes to the Korean artists, with 40 years experience between them. They were flown in and completed the fantastic artwork in over 480 hours, using more than 500 litres of paint, to bring this dream-state to reality in 60 days. Eleven themes makes for a lot of exciting zones to be in. The Jungle Safari, Aquatic Adventure, World Tour, Enchanted Garden and Imagine were some of my favourites, but the reality is, they're all great and you just can't help yourself. I do believe I'll be going again after the school holidays, so I can just take some time to marvel at the artwork. That's a tough one to do the first time around when you're excited and aroused, being amidst and immersed in some great 3D artwork. Take family, take friends, use it as an interactive special date for perhaps 'corporate bonding', girls day out, guys day out; the reasons are endless, as are the need to have no reason at all. Not just for kids, just get out there and discover the fun of it all and go be childlike and in awe of all the wonders of our world, brought to you by ArtVo. Pass it on to the selfie lovers in your life that could have a whole lotta group fun with this. Why? 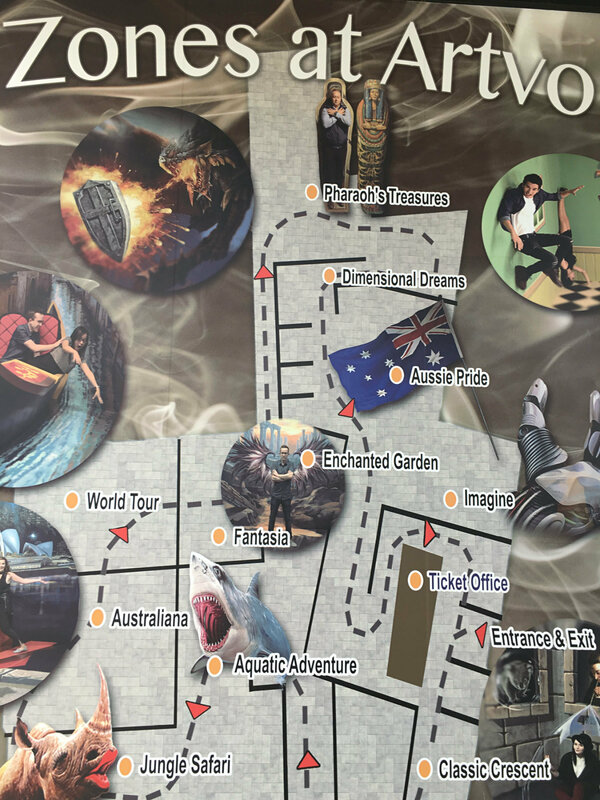 Immersive art gallery for great 3D FX selfies & fun; adults & children alike. 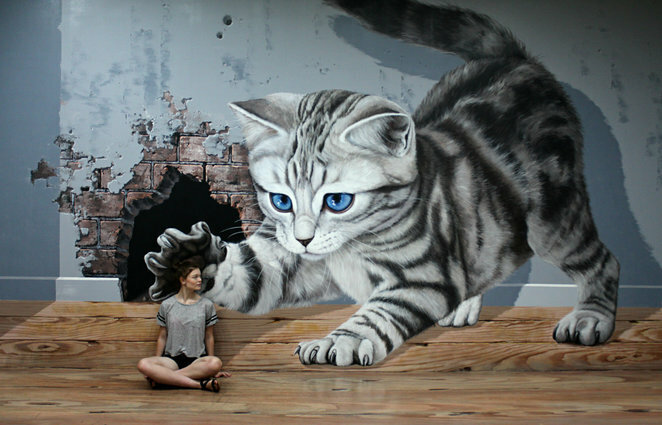 3D art is amazing that last picture is especially good.